I skipped last week’s intense summer heat by going on chill vacation to Ooty and nature’s paradise Valparai. I was in need of a break from the routine, as well for a change (since a year I traveled anywhere long) and as an alternate route to keep away the misery haunted lifelong; the hot weather wants me to drive somewhere to keep sometime cool enough. Ooty wasn’t so cold and surprisingly it had a best climate I ever experienced there and the sun was shining so bright over the Blue Mountains, enhances the spirit rather being laze inside the clouded atmosphere. 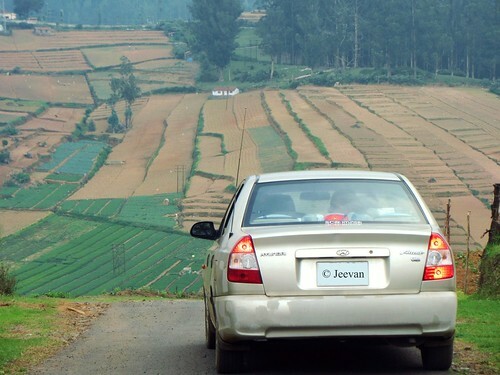 First time I took a night travel to Ooty from Chennai and it is also the first time for me to take an overnight travel to any other destination. I hesitated when my parents decided to take night ride to avoid traveling in day hot weather and to adjust room rent, but later convinced to take since it is first time for me, I decided to experience it. I doesn't find any difficult during the journey and we traveled at limited speed covering Vellor, Krishnagiri, Mettur and Mettupalayam and the dawn was really enchanting with warm sunlight embracing the cold morning. Even though it was comfort during the night journey, I felt fainting and sleepiest the whole day getting down in Ooty. Glad we haven’t planned anything that day, and stayed at the cottage and had delicious Biriyani and watching TV and cherished the pleasant cold weather. I was disappointed with few things anticipated over there and one among them was the cottage we stayed in. I looked for cottages in Ooty at Olx.com and few other websites related to Ooty and found a home which would be suitable for 12 of us to stay and esp. a ground floor for my convenience. Being a peak season time, getting a suite is also not easy and prices a lot. So we had no other option rather booking the cottage and what I saw on the net weren't we stayed, but it was another one somewhat compact and enough for only 8 members and others were stayed at another place, which they used only for sleeping at night. The cottage was little away from the city center, so it was calm to stay at somehow peace and even it was a little home, looked pretty neat and painted in vibrant yellow and green. Each room had a TV, which is nothing but the free TV sets distributed by govt. Another disappointment came in different form and for that I can’t blame anybody rather myself, because I put it into a casual mode since I heard or those conveyed me made certain that we need no permission to visit Parson Valley. ‘Just making a note at the forest check post before entering is enough.’ We were close to the Parson Valley Lake or about 1.5 km from the site, the forest officers stopped us denied permitting inside and also warned that coming such long itself need permission. The road to the valley is quite rough and we traveled in two cars, and our SUV has no issue with such roads, but uncle’s Hyundai Accent with bad tyres made a great attempt surviving the road… it feels sad taking such a path with nothing to hold back. Making it as a more special vacation, I met my dearest friend Andrew who was also on a trip to Ooty while we were. Couple of day before leaving, I casually asked him seeing his photos taken in Ooty at Facebook and he told he’s boarding flight tomorrow to reach there and I also conveyed my visit and we both felt happy and made sure meeting each other. He was staying at his friend’s place that was very close to where we accommodate, and he made a leisure walk to our cottage the next morning, making it more refreshing and cheerful day. He brought me warmth hug and sweet embrace making quite delight and I really enjoyed the moment even it was brief. 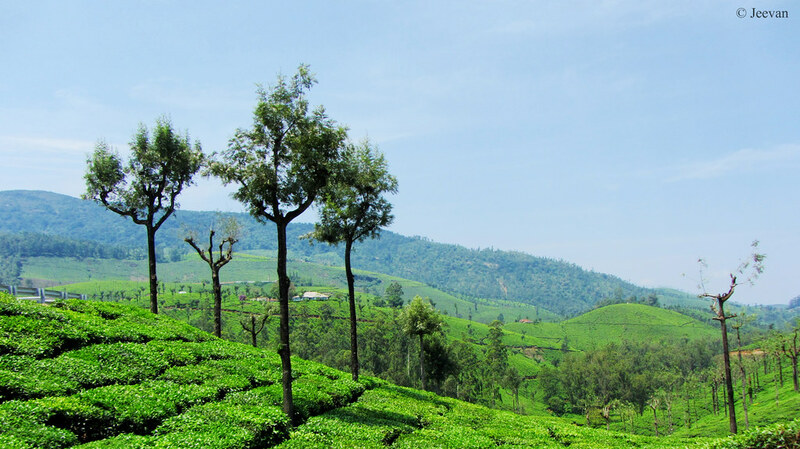 We spent just two days in Ooty and moved to Valparai. Since my uncle and aunt hadn’t been with us during our last two trips to Valparai, we decided to give them a chance to visit. 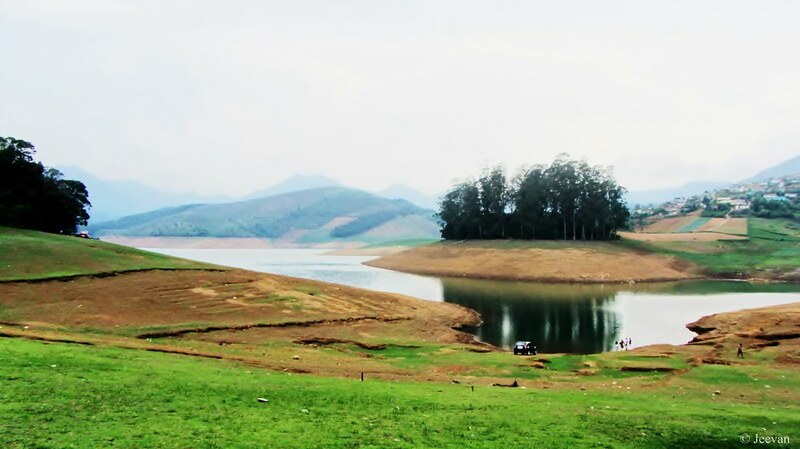 We haven’t really planned to visit Valparai and it was a decision taken only after reaching Ooty and it wasn't the best time of the year to visit Valparai (I always want to be there only at post monsoon when the entire landscape shimmers in green and full-fledged water bodies). Being a month of summer, Valparai was little busy unlike ever, perhaps because both our early visits were during winter. I have covered almost places in Valparai in my previous visits and this time just revisited few places where people usually go as tourist reaching Valparai. I hear few tourists saying there’s nothing to see in Valparai, but I only thought that they need to develop their mind to grasp the beauty of nature dumped over everywhere there. 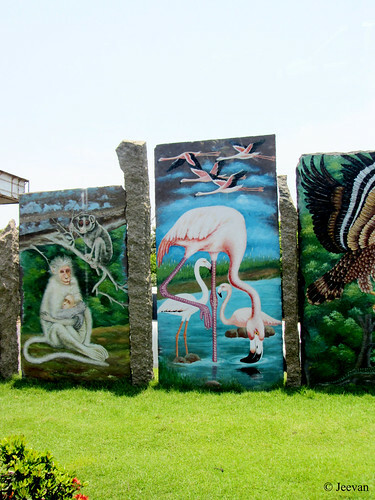 Valparai isn’t quite a tourist oriented place, but there’s a lot to perceive and it is a place that geographically significant and everyone need to travel with consciousness preserving the large biodiversity exhibits there. Valparai is also an engineering marvel with number of water bodies interconnected through tunnels and contour canal, setting an example how rivers could be connected. 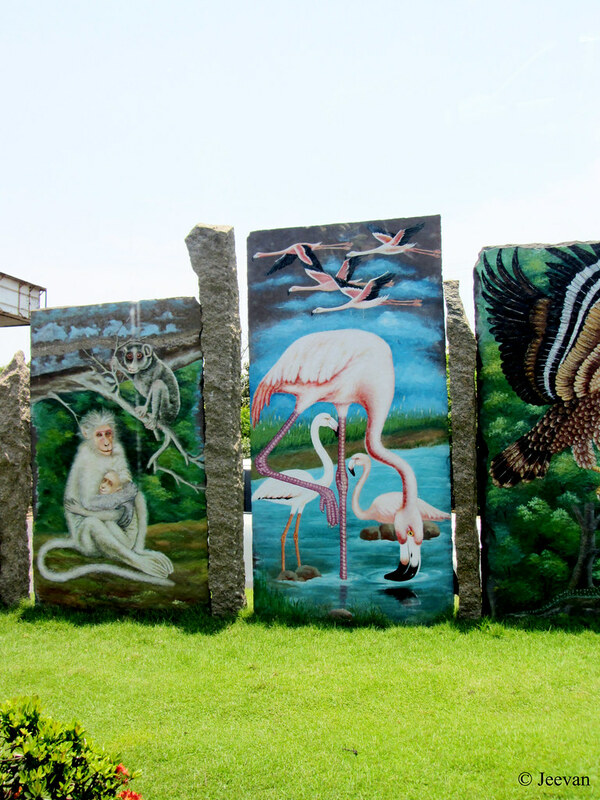 We traveled to Sholayar Dam, Nirar and Balaji Temple, but I wasn't content with the sights this time except for the visible of wild elephants, Indian Gaurs, Lion-tailed macaque and barking deer. I was excited to encounter these wild animals and riding thought the winding Ghats of Valparai is quite another pleasure I enjoyed through the leisure drive this time. I had a wonderful time with my family at both the destinations, make quite lovely despite passing various phases of frustrate and surprise. During my visit to Top Slip, a tourist spot inside the Aanamalai Tiger Reserve (a part of Indira Gandhi Wildlife Sanctuary and National Park) I happened to take a wildlife safari which led me to an elephant camp inside the forest. 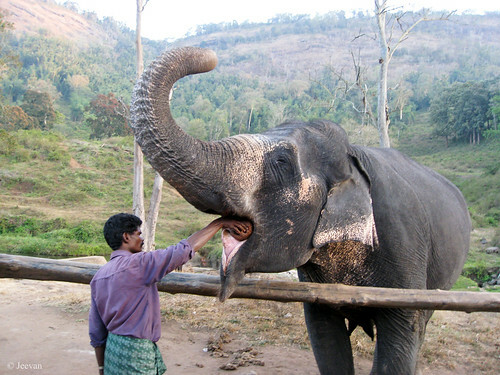 Called as Kozhikamuthi, the elephant camp is home to number of best trained elephants or kumkis which are used for taming elephants and to transport timber. The Top Slip derives its name from the process of wooden logs used to be slipped down from the top of the hills to the plains. 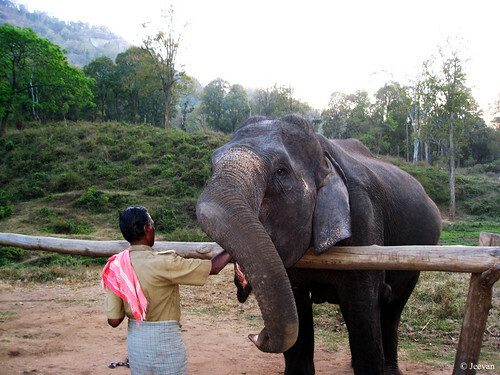 Kozhikamuthi elephant camp is a small hamlet or settlement of tribes exclusively converted for elephants to keep trained and housed under the Malisar tribes, who belong to the elephant handler’s caste and skilled to work with Asian elephants. It was evening when we made to this camp and it seems feeding elephants in front of the visitors is a regular activity there. 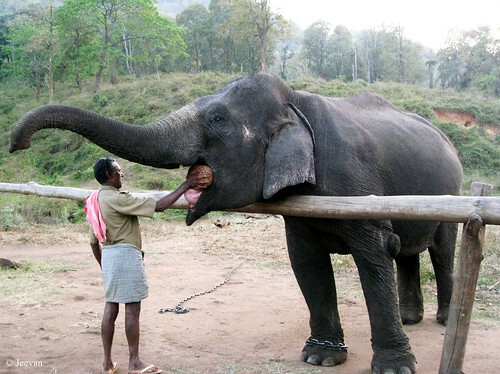 There were very few elephants standing behind the wood barriers, amuse when mahout feeds them mouthful (kavalam) of vitamin balls, one of the vital ingredient on their daily intake. Situated at the bank of a river, the elephant camp has natural surroundings of green and woods but been a dry season then, many elephants were sent to another camp deep inside the forest which is restricted for pubic. For a change I decide to share the one of my favorite song from the latest Tamil film, Thenaliraman, featured by popular comedy artist Vadivelu. This is a beautiful song I love listening and also watching it for the lovely gestures of Meenashi Dixit (a popular ad film model) and what make quite allure rather being composed by D.Imamn, producing a feel of pleasure and enhance touch by classic in the tune was Shreya Ghoshal’s vocal. The song describes the beauty of man and his entice in Viveka’s lyrics, has Shreya’s hiccup at every stanza sounds unique and intoxicating! Couple of years back when I was heading to and from Kotagiri in the Nilgiris, I find couple of temples pretty neatly painted or newly built while on road across Sirumugai, in the Coimbatore district of Tamil Nadu. 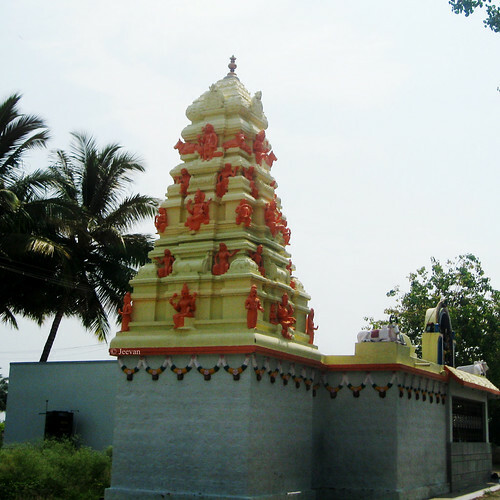 Since it was Chitirai - the beginning of Tamil month, many temples were at festival spirit across our path and it could be the reason these temples look refresh. Both were shot at different day times, the one painted in sandal color was captured from the moving car and other was shot at halt when looking for direction, as we took detour missing the main road leading to Sathyamangalam. I simply adore these temples for their pretty neat paint work on them and also located on scenic even being roadside temples. 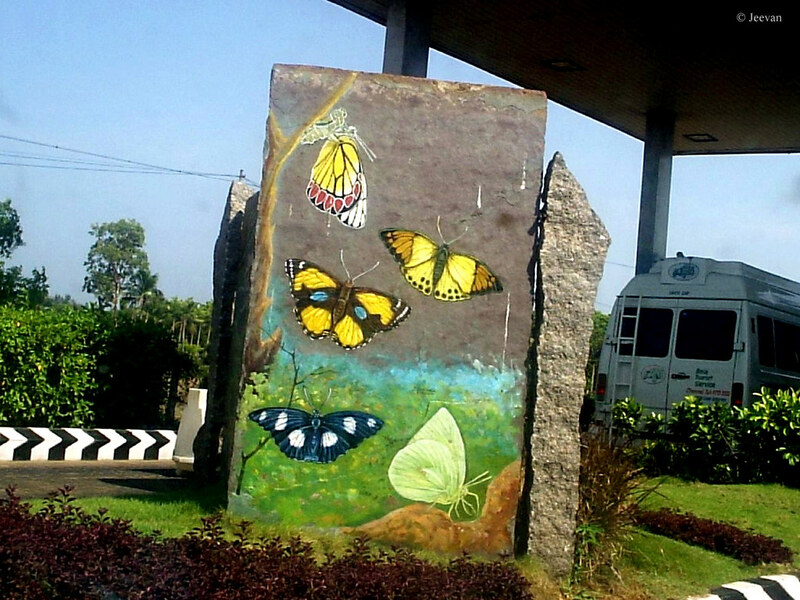 ECR, defining east coast road is a great blessing for Chennaities and a scenic gateway to the weekend getaway. It’s quite pleasure taking this coastal road all the way to Pondicherry and beyond, but the most amused ride quality was quite restrain till Pondicherry and under toll gate control, the road was maintained well and pretty neatly drawn lines and road studs enhances the ride quality and night driving was fun (once) expose to stunning reflectors. The emerging buildings and villas may change the scenery from time to time, but it seems to adapting everything and breathes fresh forever. The ECR toll gate is one stop; from where we get tickets to use the road has beautiful setting of garden alongside the booths and flowering plants and date palms adorn the toll gate beside picturesque painting stones. 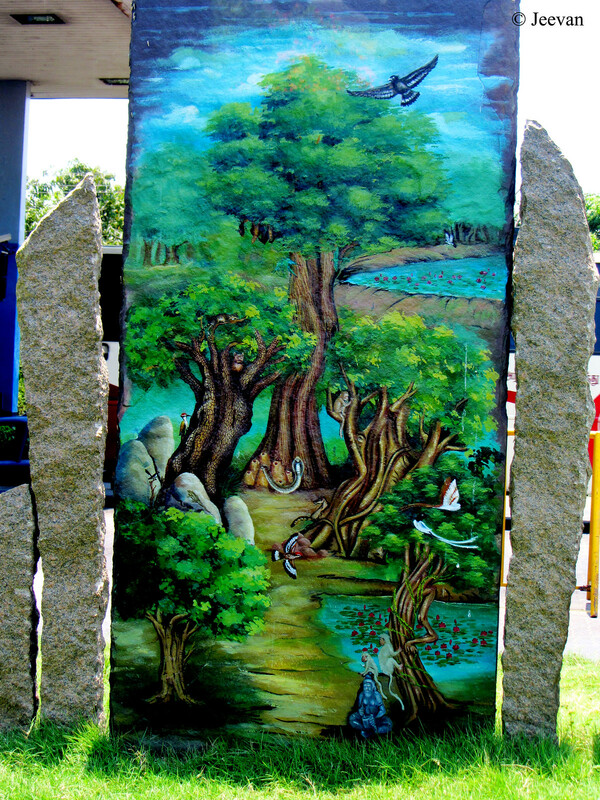 Erected vertically, these painting stones catch anyone's attentions while waiting to pass and during such times I used to try capturing images on them and here are few photos on the paintings shot at different moments. The above one has paintings on animals and birds; and the below was on jungle and the detail was really impressed me when zoom enough on the painting. 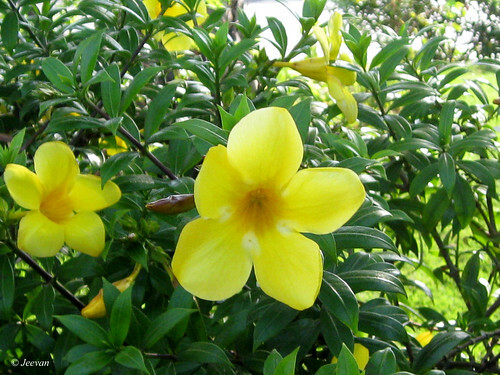 I find two lily ponds, snake emerging from its burrow and the lesser golden back peck along an own peek from the tree. What more interesting on this painting was, a saint smashing herbal medicine sitting under the tree? The Supreme Court has revealed two significant verdicts today that influence a lot in Tamil Nadu. One was to allow raising the water level of Mullaperiyar dam to 142 feet which was refused by Kerala government so far. There had been difference between the two states over the safety of the dam, while Tamil Nadu contended the dam was safe and its water level had to be raised from 132 feet to 142 feet, Kerala maintained that the dam was weak and needed to be replaced. Kerala has repeatedly asserted its right to enact a law regulating the safety of dams in the state, insisting that the river rises and falls in Kerala which is why it is an intra-state issue. The SC had reserved its verdict, last year, on the legal battle between the two state governments over the dam and as per committee appointed by court has revealed that the dam was safe. Another verdict the SC has delivered today was, prohibiting the practice of the traditional martial game of bull taming in Tamil Nadu, called Jallikattu. Following Madras High Court’s ban for the sport few years ago, the issue was taken to the Supreme Court where a batch of petition has comes to final disposal now, as the SC had already noted once that Jallikattu was nothing but a sport inflicting massive cruelty to animals, but allowed it under stringent condition on vehement request by the Tamil Nadu government. The animal welfare activists are up in arms against Jallkattu for past several years and wanted to ban the age-old sport has acquire great relief now and of course every animal lover and who hate inhumanity. I too support the verdict and anything against animal or nature need to be prohibited. But my only thought and worry was, what will happen to those bulls, which are grown specifically for the sports if the game was prohibited. The bulls that are used in the Jallikattu are belonging to the Pulikulam breed of cattle, which are reared in huge herds numbering in hundreds with few cowherds tending to them. In this world only things that are in use and useful survives and once the need for them has gone we slowly lose their ground. I guess the world famous Kangeyam bulls are in edge of endanger list and soon the work for the Jallikattu bulls is invisible, sure their name will be added to endanger list. What I think was, even they struggle at least they survive being so. If we stop all activates involved by cattle, they have no hope of survive, and they are practiced to work along with humans and if we can’t who can support them well. I wish the bulls strength is used in a remarkable way, without giving them trouble. P.S. 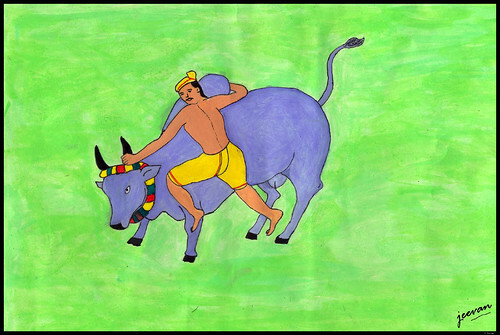 Above is a painting I done on Jallikattu (a scene of bull catching) haft a decade back and thought it would be apt to add with this post. 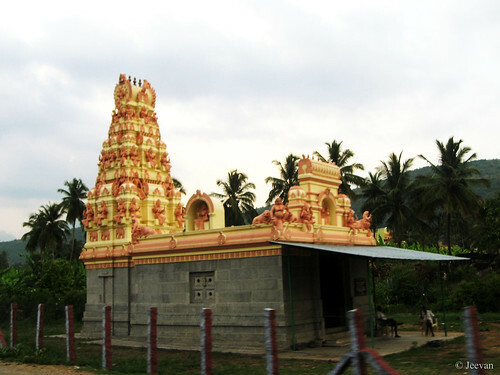 கோடை மழையில் இன்று ஜிலு ஜிலுவேன. 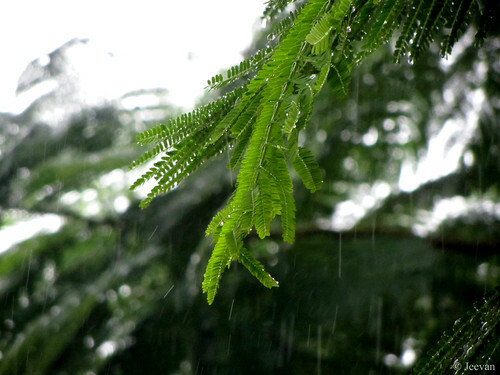 become cool in the summer rain. the earth sucked away quickly.